'Yair Lapid promised to make life miserable for us; I think it's good news: We'll finally see him in Knesset," Dichter tweets. 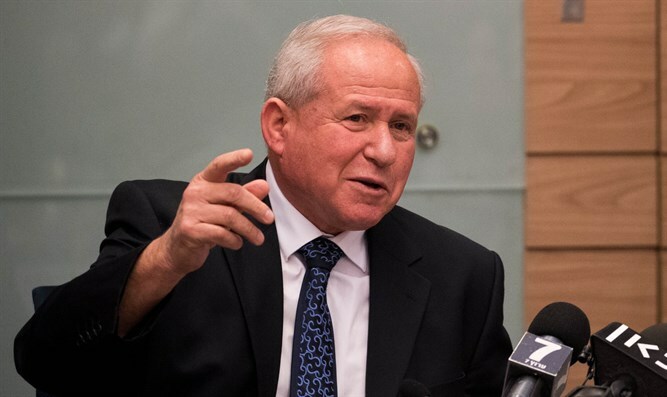 MK Avi Dichter (Likud) responded today to a speech by Blue-and-White co-pilot MK Yair Lapid, promising "to embitter the Likud's life from the opposition." "Yair Lapid promised to embitter life for us in the Knesset, and I think it's good news: We'll finally see him in the Knesset," Dichter tweeted, alluding to the fact that Lapid was often absent from the plenum without sufficient cause, leading to his being fined by the Knesset Ethics Committee in 2016. "We did not win this election, but we are the largest party with more than a million voters, they'll try to dismantle us, but they won't succeed," Lapid said. "We'll make your life miserable from the opposition. The Right has concluded that the opposition will just crawl to the government, but we won't let go of Netanyahu's indictment. We're going to turn the Knesset into a battlefield. We'll show Israeli citizens how their lives can be with a government that cares about them. We didn't come here to wrap up the 2019 campaign, but to open the 2020 campaign," he said.